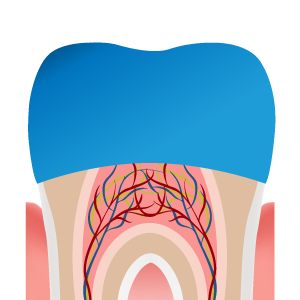 Crowns (or caps) are sculpted and placed over the outside of your tooth, which allows the tooth to look and act naturally again. Even if most of your tooth has been compromised or damaged by tooth decay or anything else, porcelain crowns will be able restore the look and function of your tooth to normal. Crowns can also be specially molded to look exactly like your original teeth, and in many cases, we can design crowns that work even better than your natural teeth ever could have. For the most part, crowns are much thicker and stronger than veneers; this means they can easily cover up more severe damage to your teeth. Partial crowns are also available as an alternative to suit the needs and circumstances of our patients. These partial crowns are less expensive than regular crowns, and conceal smaller blemishes on your teeth. Crowns take quite a bit of time to fabricate, so most patients who need them will have to receive temporary crowns while waiting for their permanent ones to arrive. Various factors can affect how quickly crowns are produced, so some crowns will be ready much faster than others. Crowns are also made to be durable, often more durable than natural teeth. Because of this, they are generally not as flexible as your normal teeth would be, which makes eating certain foods more difficult. Patients who grind their teeth habitually will need special mouthguards to protect their crowns from unnecessary damage and wear. These mouthguards will also serve to protect the rest of your teeth from further damage. Crowns can sometimes increase a tooth’s sensitivity to hot and cold temperatures. You can care for your crowns in the same way as your natural teeth: by brushing and flossing regularly. Once we’ve put in your crowns, we’ll schedule you for a follow-up exam to make sure everything is working as intended and to fix any unexpected problems that may have arisen. Nitrous Oxide (laughing gas) provided complimentary for crowns upon request. 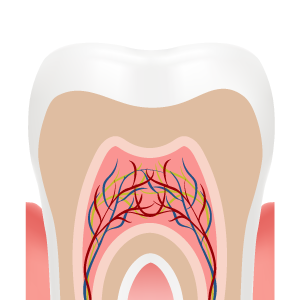 A crown, when cemented into place, fully encase the entire visible portion of a tooth that lies at and above the gum line.